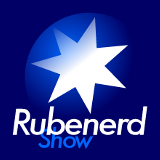 10:00 – We finally have cable TV in Malaysia (CNN Asia Pacific, free to air TV in Australia, Singapore and Malaysia), Rubenerd Left Wing (American sugar-coated politics, liberation, democracy etc), Elke calling Ruben a dork, bagging out New Zealand accents (again!) and congratulations to the women of Kuwait for getting the vote! News clips from CNN and the Brock Log, found through Technorati.